It’s the Lenten season, which is the perfect opportunity to make some fish recipes. 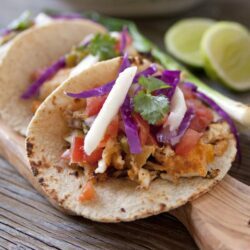 Since I’m a taco fanatic I had to make fish tacos, but not any fish tacos, these are blackened tilapia tacos that are easy to make with the help of taco seasoning mix. All you have to do is drizzle some agave nectar on the fillets, sprinkle the seasoning, and cook them for a couple of minutes, and viola dinner is done. 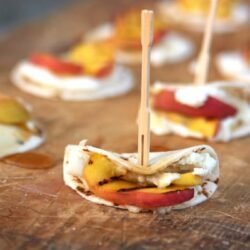 This meal can be made in less than 30 minutes, which is perfect for weeknights or entertaining. Blackening fish is absolutely delicious, even for those of you who don’t like fish; I guarantee you’ll like blackened fish. 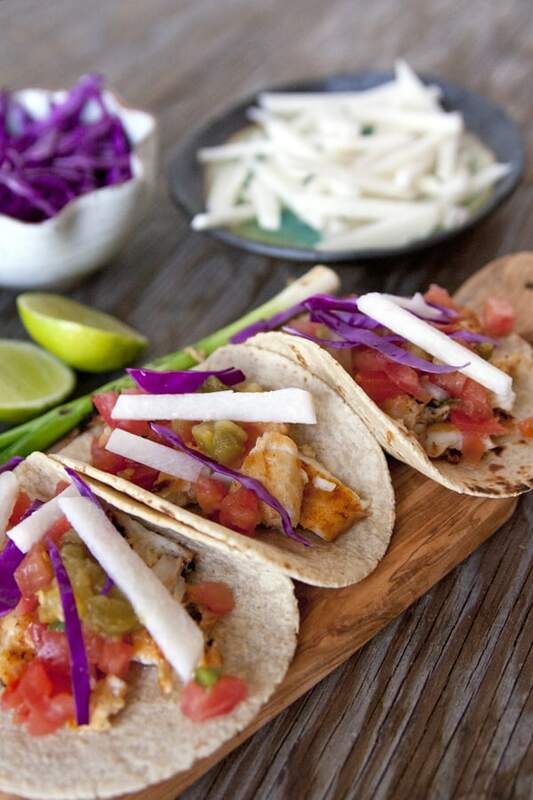 Blackening tilapia gives it a bold flavor, which is further enhanced with the spicy green chile pico de gallo salsa, and crunchy texture of the cabbage and jicama. These tacos are heavenly. It’s a filling and flavorful meat-free meal during Lent. 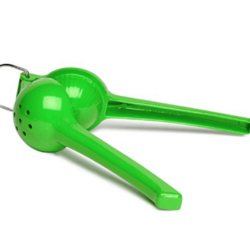 Put chopped jalapeño, green chile, tomatoes, onion, and cilantro in a large mixing bowl and sprinkle with salt. Add lime juice and mix well. Taste and add additional salt if necessary. Preheat a griddle or cast iron pan for about 15 minutes. 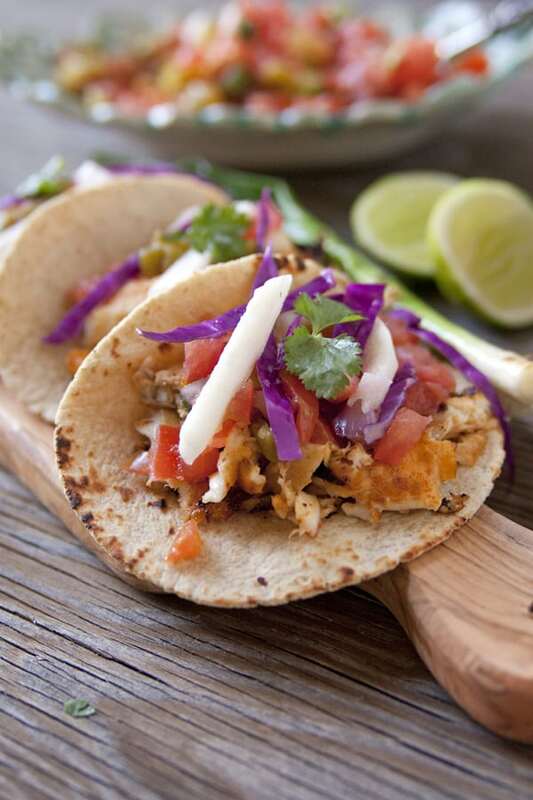 Drizzle 1 teaspoon of agave nectar to each tilapia fillet on both sides. Season the fillets by sprinkling them with taco seasoning on both sides and rub the seasonings in. Heat oil in skillet over medium heat until hot. Add fillets to skillet and pan fry for 3 to 4 minutes on each side. 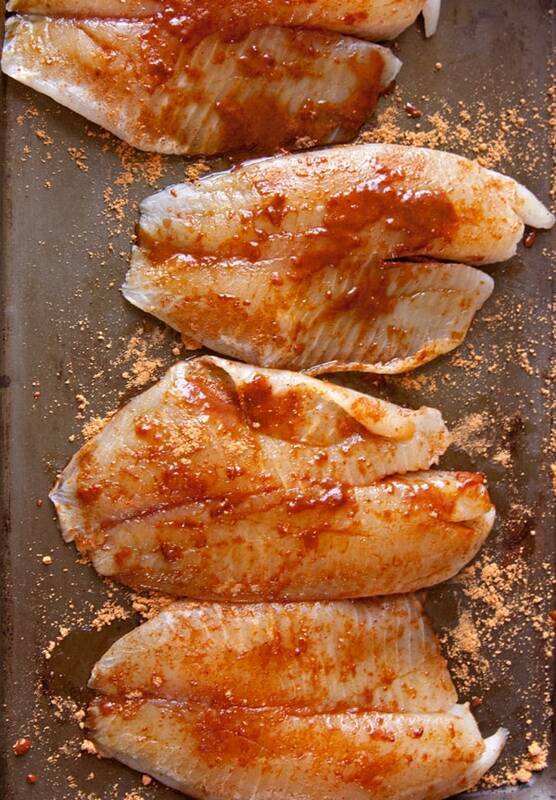 Remove the tilapia to a plate and use a fork to flake the fish and break into chunks. 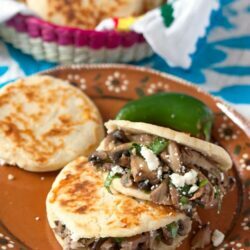 Heat corn tortillas on a griddle. 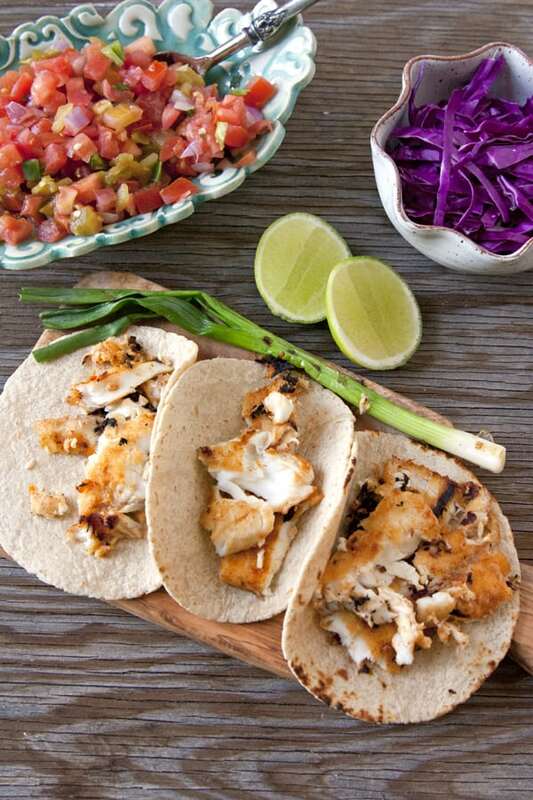 Fill with tilapia and serve with pico de gallo, jicama, cabbage, cilantro, and a squeeze of lime juice. 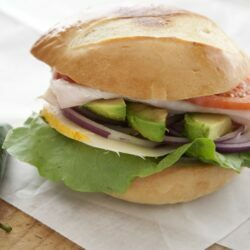 I invite you to check out more delicious meatless recipes below. Disclosure: A special thanks to Old El Paso for sponsoring this post. Could halibut be used in place of talapia? My husband went to Alaska and I have freezer full of halibut.